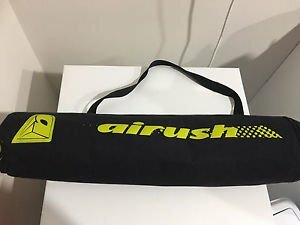 Airush Trainer Kites are the perfect on-land teaching tool for all kiteschools and as a first-time kite for anyone wanting to learn. Beginners can learn to fly a kite in a safe and easy manner. Schools can rest easy that basic skills are learnt prior to advancing to LE kites. The SUPRA range is divided into our Trainer and Nasa Wing offering. The Unique SUPRA Trainer kite-design ensures flying and steering characteristics similar to that of a normal 4-line kite. This combined with the new improved material guarantees a very long life-span of the SUPRA Trainer kite. 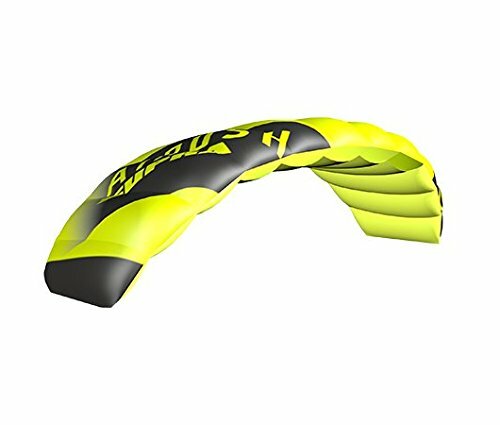 The SUPRA trainer is a double-skinned highly durable 2 line kite available in a 2m and 3m offering. The SUPRA NASA wing is a single-skin kite which offers a super light weight design perfect for lightwind conditions. Easy to fly and easy to fix, the single-skin SUPRA NASA WING is perfect for kiteschools in need of a trainer kite that can handle abuse with students taught daily.